Sanjin Džonlić, Sub One (Sanjin Sub, Tribalba) is a pioneer of the Sarajevo underground music scene, influencing the generation of clubbers and clubbing culture in Bosnia and Herzegovina at the turn of the Millennium. Involved in Sarajevo electronic music scene from its very beginning in 1996, Sub One started playing under the mentorship of famous Sarajevo DJ, Enis Voloder and other members of the “Interactive Music Association” which included both Bosnian and English musicians. This is where he first met the turntables, learned skills and gained deep love for vinyls, synthesizers, drum machines, electronic music culture and started creating his first vinyl collection. Since 2010, Sub One is fully devoted to intensive practice and perfecting skills in his DJ sets. After equipping first home based production studio in Sarajevo, Sub One finished Point Blank Electronic Music School from London gaining diploma in Sound Design and Music Production in Live. 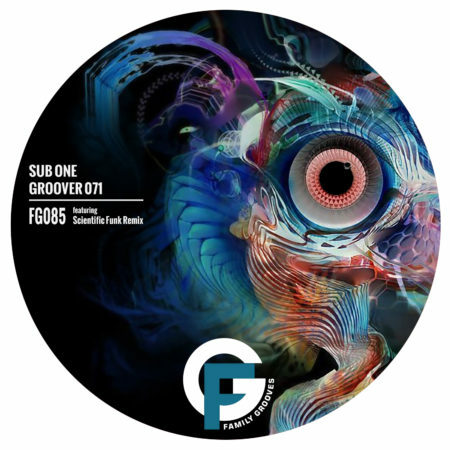 Effort resulted in his first prosperous edition “Chances EP” made in collaboration with Mateo Scala, including three original tracks released by Croatian label “Family Grooves Records” in 2015 with great regional feedbacks and coverage. Signed releases for European labels like “Point Blank Music” and negotiations with “432Hz” records and many others to come indicate quite interesting year ahead for Sub One and his music.